At the 2015 Frankfurt Motor Show, Volvo shared its all new Volvo V60 Cross Country 2016. Getting tougher and comfortable than the predecessor model, the new release takes a lap ahead. TO us the model looked like a sleek wagon designed to rule the streets but before getting to any conclusion, let us have a look at the review of Volvo V60 Cross Country 2016 to know in detail about it. The interior of Volvo V60 Cross Country 2016 is highly spacious for both, passenger and cargo. Talking about the cargo with its rear seats folded the model offers around 43 cubic feet of cargo room (though this is less in comparison to most but still it is enough for four people and their luggage). The seats are much comfortable in comparison to the S60 and XC60 models while the heavy bolstering add to the looks also. At the rear two adults or three kids can sit comfortably. Looking at the smart features for the kids and the adults that will make the journey comfortable and safe I believe that the space issue won’t bother much of their audience and the company will make a good hit in automotive market with this. 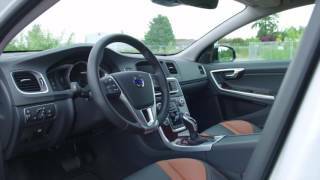 Thus in all rounding up the interior details of Volvo V60 Cross Country 2016 I would say it is good and if asked about giving it rating I’ll put it on three out of five with five being best. 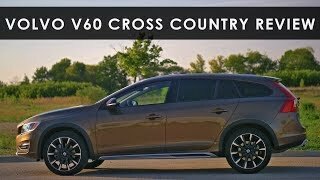 Let us talk about the exterior of Volvo V60 Cross Country 2016. Starting with the front fascia we have the traditional Volvo grille sitting amidst the wide and elongated headlights. The grille from its center is separated diagonally by a thin aluminum strip that holds the company’s logo. Beneath this set up is the massive air duct for the engine while the front fenders have newly designed fog lamps. Moving towards the rear end, the deck lid between the taillights features the company’s name while the rear fenders have the eagle peak-shaped taillights with integrated indicators. The body colored bumper has a simply designed round exhaust tip made from steel. 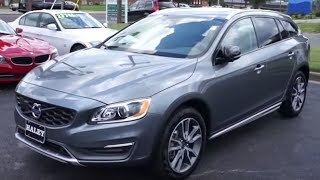 In all the exterior details of Volvo V60 Cross Country 2016 are crispy with its creases and elegant in all. 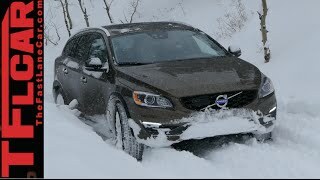 Beneath the hood of Volvo V60 Cross Country 2016 is a 2.0 liter intercooled Turbo Regular Unleaded four-cylinder engine, generating total output of 240 hp and peak torque of 350 nm paired to eight-speed Geartronic Automatic transmission sending power to front wheels. 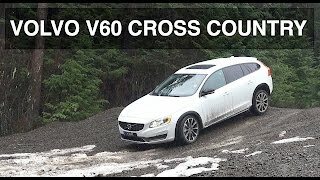 The performance figures of Volvo V60 Cross Country 2016 are not yet shared by the company but we expect them to be out soon and till than we would recommend you not to go with predictions and stay in touch with us.